Trying--and failing--can be a path to happiness too. This book explores the themes of acceptance, resilience, and self-compassion and offers the message that just because we may experience a failure does not mean that we are a failure. Written as a counterpoint to the message of The Little Engine that Could, Happiness Doesn't Come from Headstands is a story about a girl who tries her best, but still falls down. Through the process she learns that happiness is not determined by external achievement. Through accepting our limitations and celebrating our efforts, even in the face of failure, peace can be found. 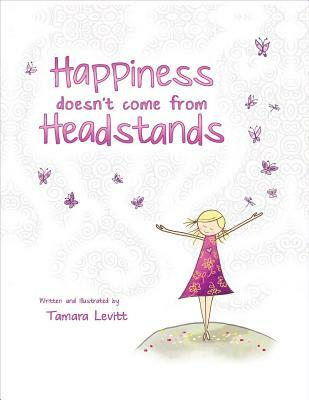 Tamara Levitt is an author, producer, speaker, and mindfulness educator. She works as head of content at Calm, the mindfulness meditation app. She leads the creative strategy for Calm's content library and oversees production of the company's original content offering. Tamara writes, produces, and narrates Calm's mindfulness meditation programs. Tamara is also founder of Begin Within Productions, where she produces mindfulness based multi-media content. Her experience as a meditation practitioner exceeds over twenty years of study and practice. She is based in Toronto, Canada.